Here is a lunch jar with a washable outer container and three microwaveable inner bowls to keep your foods hot or cold for hours. 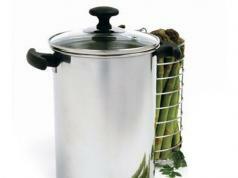 It has a durable stainless steel construction. 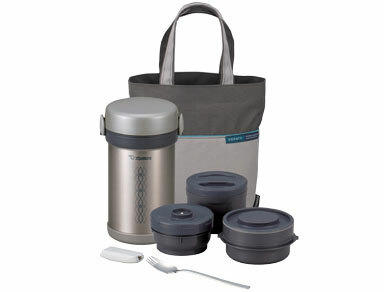 The Ms. Bento Lunch Jar is made of BPA-free plastic and stainless steel. 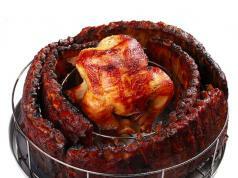 The container retains heat (149°F) and cold (50°F) for 6 hours.